Everyone agrees – the primary years are the best in which to learn a second language. But is it so important for our children to be bilingual? The Federal Government seems to think so. In 2008 it endorsed a study which called for the compulsory study of a second language from kindergarten to Year 10. If this does not happen the Australian workforce risks losing its “competitive edge”. Around the world many children in non-English-speaking countries are learning English as part of their school curriculum. But at many Australian schools if a second language is offered it’s often an elective subject. However, Nickie Race-Jones, director of LCF Fun Languages, an organisation which sets up “language clubs” around Australia for children as well as provides support for curriculum-based language teaching, is hopeful that this situation is starting to change. She’s convinced that parents and the teaching fraternity are starting to embrace the benefits of Australian children learning another language. “Through digital technology, the world has become a smaller place and Australia is more exposed to the global community,” Nickie says. In the 1960s, more than 40% of year 12 students studied a language. This has now fallen to about 14% of year 12 students - but there are signs that the rate of bilingual education is starting to creep up. Around 50% of students study a foreign language at some time during their primary and secondary schooling with the most popular languages being Japanese, Chinese, French, Italian, German, Indonesian, Spanish, Vietnamese, Arabic and Latin. Most language study occurs in primary school and participation rates decrease steadily from the time students go to high school. The earlier, the better, says Nickie. Children as young as two can join the LCF language clubs, and she says there is a definite window of opportunity when learning languages is the easiest. “Up to the age of 7, it seems children can learn a new language more effortlessly,” she says. She says that it’s all to do with the formation of the brain. Apparently during the first few months a baby’s brain builds a large number of important connections – up to a billion a second. By the age of 8 months the connections number 1000 trillion but then they start to decline rapidly unless the child is exposed to stimulation. By the age of 10 these have reduced by half to roughly 500 trillion. According to Nickie, it’s during this time that the foundation for thinking, language, vision, attitudes, aptitudes and other characteristics are laid down. In these years the brain is a super sponge and once the development is complete the window closes and any further learning has to be gained through long and hard traditional learning. 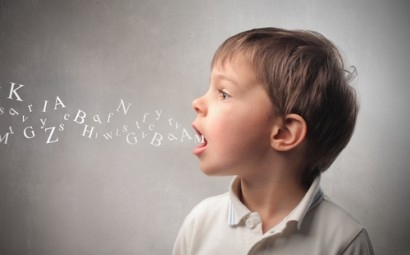 Other studies have shown that children who learn a language before the onset of adolescence are much more likely to have native-like pronunciation. But remember, although early childhood is just the easiest age to learn another language – Nickie says taking up another language at any age has great benefits. Research carried out during the last few years has shown that learning a second language, regardless of gender or race, can enhance children’s overall mental development. English: a second language increases the vocabulary available to a child. This results in both languages reinforcing each other, giving the bilingual child an edge over their mono-linguistic contemporaries. Children can learn much about English by learning structures and words in other languages. Bilingual children, in another study, were found to have a larger density of "grey matter" in their brains. And those who had been exposed to a second language from an early age proved to have the most grey matter, i.e. that part of the brain which is responsible for processing information, including memory, speech and sensory perception. Can an English-speaking parent deal with bilingual education? There’s no denying that growing up in a multi- or bilingual home greatly increases the chance of learning another language because children can be immersed in the languages. However parents that know only English can still teach their children the benefits of bilingual education and learning a second language. But Nickie, who is passionate about exposing more primary-age children to languages other than English, encourages monolingual parents to learn with their children. She says there are great CDs and online lessons which can help adults support their kids in their language learning. Server responsed at: 04/21/2019 10:17 a.m.